I recently started a new job at my company last Friday and I can't explain how refreshing it has been. Granted, I have been in training for the most part, but there is something exciting about a new beginning. After 19 months in my old position, I was getting stale. It was the same thing every day and I wasn't learning anything new. Needless to say, I am very ready for a challenge. To top it off, I am on an amazing team with people I know I am going to learn a lot from. 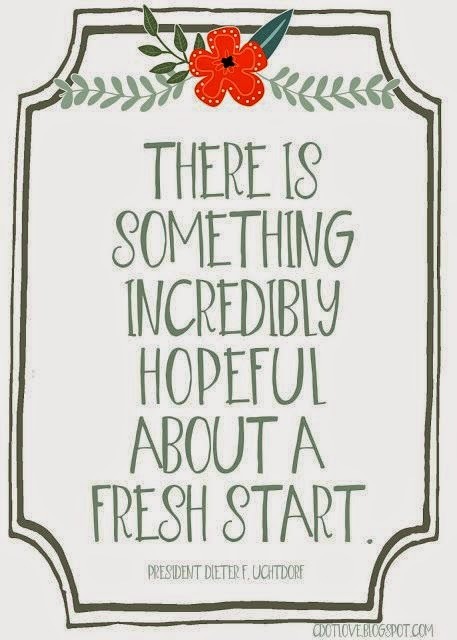 Even though I recently had some set-backs, I am so thankful for this new adventure.